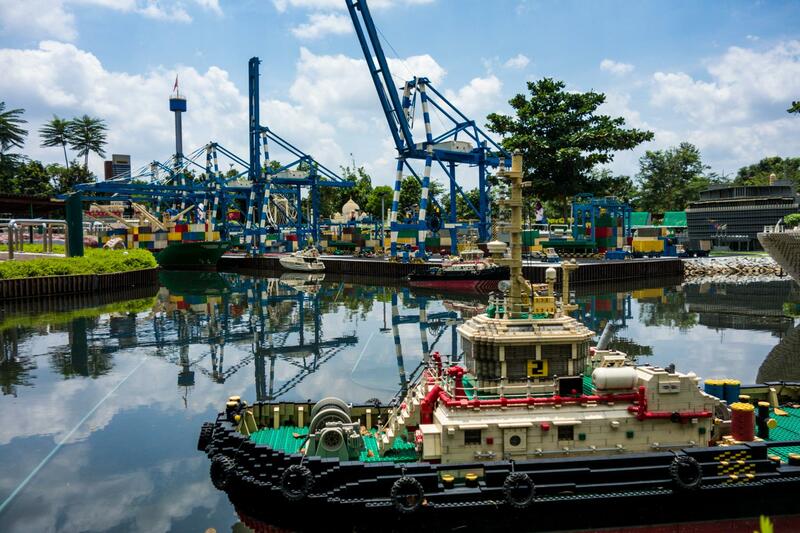 A fun day at LEGOLAND is not far from NTU main campus - but it's still a bit hard to get to if you don't own a car. But if we charter a bus and cross at Tuas during off-peak hours we should be able to avoid most of the hassle (and the traffic!). No driving, no pre-booking tickets, only bring what you need for yourself and your kids. Adults without kids are also welcome! We will leave from NTU campus (in front of the NEC centre) at 7:40 am sharp. We will leave from LEGOLAND at 3.30pm. If you have any questions please WhatsApp Carly at +65 9830 7982 with any questions. Waterpark tickets are a further $10 off for everyone over 3 years. I can only charter the bus if a minimum of 8 pax confirms. 2) click ‘book now’ to pay the deposit of 10$ per person to reserve your spot(s) with your credit card. 3) Pay the remainder min. 1 week before the trip. - The bus ride should be around 1.15h. We are avoiding jams by riding during off-peak hours, but you can never be 100% sure. So if you come with a smaller child, bring everything you need to feed, entertain, change them on the bus ride. Please note that strollers are available to rent at the theme park. - Food at LEGOLAND is available but falls under the “junk food” category. If you want more healthy food, bring your own (or step outside LEGOLAND for more decent food options). Our trip involves a border crossing into Malaysia. 1) It is your sole responsibility to meet all immigration+visa requirements at immigration for your nationality. If immigration prevents you from crossing the border, it’s not the end of the world, just please understand that we aren’t able to accommodate you: You would have to take a cab back at your own cost. Please understand that the bus will not be able to wait if you are late!! What is the cost for one adult and one child? The cost For an adult and a child, including park tickets is $170. If the child is under 3 the cost is $144. How do I purchase tickets for me and my family? Click on "book" and then click the number of PAX required. Then pay the full price (89$) for all travellers. For example, if you have a family with 2 adults and 2 children, you must pay $356. You will then receive a refund of $16 SGD (or the equivalent in RM in case you would like some spending money) on the day of the tour. Wait, So I have to pay full price for my child and then get a refund? Yes, unfortunately, this website doesn't support different pricing tiers so this is the best way we can do it for now. Refunds will be supplied in cash (either in SGD or RM) on the day of the trip. I already have a pass - can I still come? I am driving in from outside NTU campus – can I park somewhere? Yes! You can park right next to the bus departure slot for around SGD9 (hourly rate: SGD1/h). All minors (under 18 years old) must be accompanied by an adult. We highly recomend that this be the parent of the child. If this adult is a non-parent (e.g. grandparent), you are responsible for meeting the corresponding immigration requirements. We can provide a form letter providing permission to the accompanying adult - but entrance into Malaysia and back into Singapore is at the sole discretion of border officials. No refund will be provided if you or a party member are not able to enter Malaysia. Can my helper go with my child? Because there tend to be very long jams at the border crossing during peak hours, which we will avoid since we have small children on board. Why are we crossing via 2nd link (Tuas), and not via Woodlands? Because the jams at Woodlands Checkpoint are much much longer on average. What is the best age range for children? 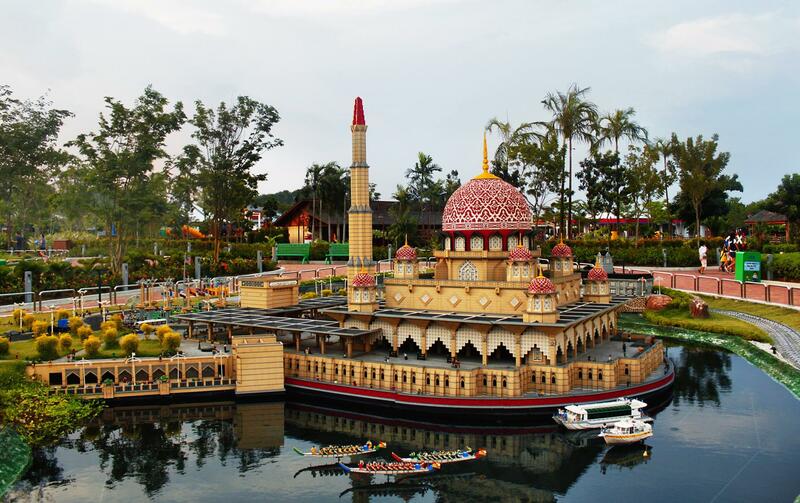 The best age range to enjoy LEGOLAND is probably 2-12 years of age. Are there facilities for babies, too? Yes. There are facilities for babies at Duplo PLaytown. Bottle warmers, high chairs, rockers for nursing moms, baby change facilities and a microwave are available at the baby care centre. All male and female restrooms have diaper change tables. Family restrooms are also available and strollers are available to rent. What is the law regarding child restraints on buses? This depends on the number of people coming. Please let us know before paying if you wish to bring a child that requires restraint.